Steve Lamb is a linchpin of the whole River Cottage operation and has been for a decade. 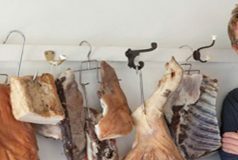 He teaches on several courses but specialises in curing and smoking meat. Steve appears in the TV series, regularly presents on the Food Tube channel and also wrote the best-selling River Cottage Curing & Smoking Handbook which received the Fortnum & Masons Highly Commended Food Book award. 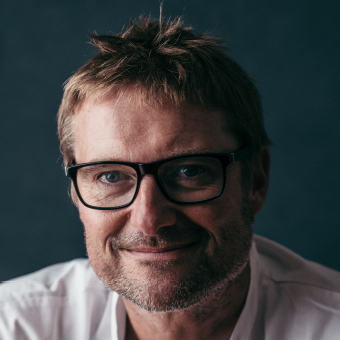 Beyond River Cottage, Steven’s extensive food knowledge and talent for live hosting has put him at the centre of many of the best food shows and festivals, either leading his own cookery demonstration or compering the live stage for emerging and celebrity chefs. More recently Steve has become the host presenter for Grand Designs Live Show in London and Birmingham as well as Chef Mark Hix’s Food Rocks. In 2016 he hosted the Guardian Literary Institute at Camp Bestival in his home county of Dorset. Always keen to share his knowledge, Steven regularly teaches at other UK and International cookery schools, and also uses his experience to consult on food projects for individuals and large organisations. He writes on an array of subjects for print and online. 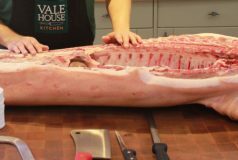 We are really excited that Steve will be teaching our Smoking and Curing Course here at Vale House Kitchen.